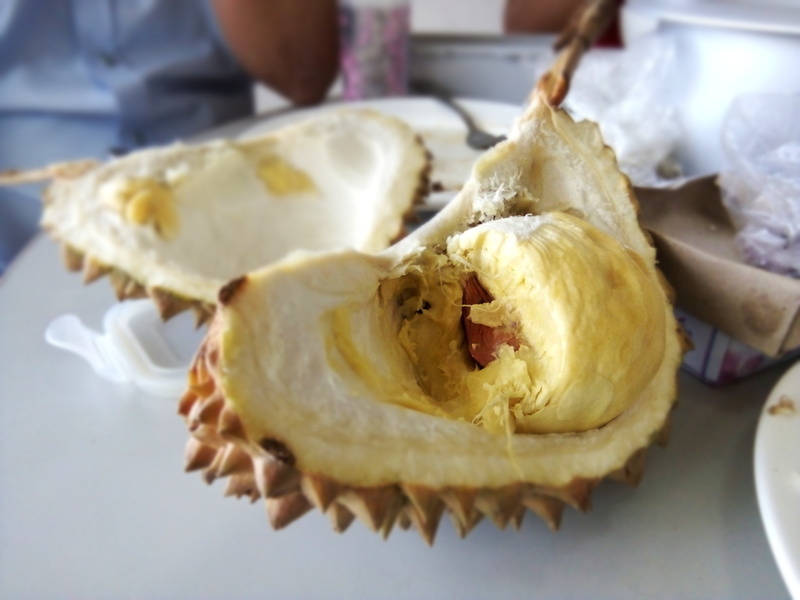 Durian is native to Southeast Asia. It is well known for its unpleasant strong odour. The shape of durian is similar to jackfruit but has larger spikes. Normal size can grow from 6 inches to 12 inches. This fruit is not allowed in the airline cabins and some other public transport due to its overwhelming odour. In the Philippines, Davao City is nicknamed as "Durian Capital of the Philippines" because durian is common and cheap in the city. Its flesh is pale-yellow in color. The taste and texture is similar to Chesa fruit or Canistel fruit.